We were hoping the whole arsenic in food ordeal was over. First arsenic was found in apple juice and grape juice than it popped up in rice-based foods. Sadly, it’s not over, with new reports showing that unhealthy levels of arsenic have been found in cereal bars, energy bars and even in infant formula. In the arsenic in rice post we noted that many parents feed their children rice-based cereals and other foods containing rice, which is part of the problem here. 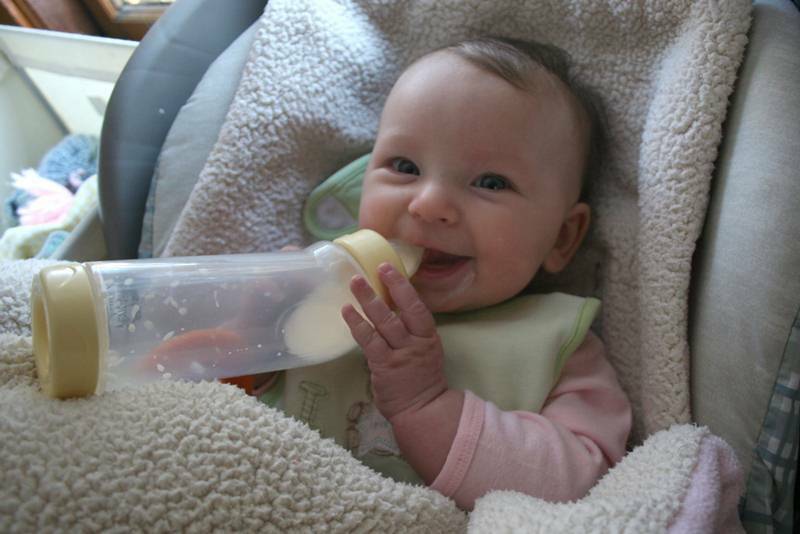 Many baby formulas and grain-based bars contain brown rice syrup used as a sweetener. The problem? If there’s arsenic in the rice, it’s in the rice syrup and thus arsenic is passed on to the food product it’s used in. The interesting thing about this new research, published ahead of print in Environmental Health Perspectives, is that the brown rice syrup used in these foods is organic. Of the foods looked at, researchers found that infant formulas containing organic brown rice syrup as their primary ingredient had arsenic levels 20 to 30 times that of the other infant formulas. Cereal bars made with brown rice syrup contained levels of arsenic that ranged from 23 to 128 parts per billion (ppb). Cereal bars free from rice had much lower arsenic levels, ranging from 8 to 27 ppb. To compare, as we’ve pointed out before, 10 ppb total arsenic is the limit permissible in public drinking water. If you’re on a gluten-free diet and eat a lot of rice or rice-based foods, try to vary your diet. Breastfeed or look for baby formula that doesn’t list organic brown rice syrup as a main ingredient. 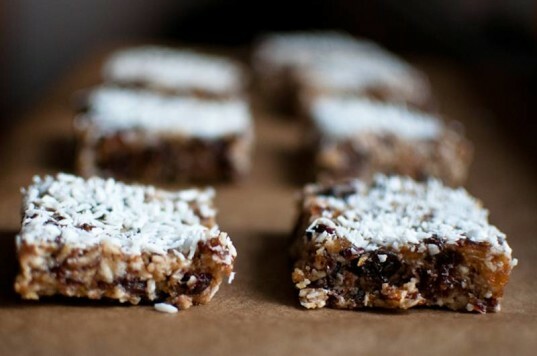 Make homemade organic fruit bars without rice sweetener or high fructose corn syrup. Arsenic builds up, so limiting your total consumption, especially in your child’s food, can be significant. For example, little bits of arsenic found in rice, juice and other foods adds up – basically you don’t want to eat a big bowl of brown rice cereal and a cereal bar then chase it with apple juice. Mix it up so you’re eating many foods. We were hoping the whole arsenic in food ordeal was over. First arsenic was found in apple juice and grape juice than it popped up in rice-based foods.�Sadly, it's not over, with new reports showing that unhealthy levels of arsenic have been found in�cereal bars, energy bars and even in infant formula. In the arsenic in rice post we noted that many parents feed their children rice-based cereals and other foods containing rice, which is part of the problem here. Many baby formulas and grain-based bars contain�brown rice syrup used as a sweetener. The problem? If there's arsenic in the rice, it's in the rice syrup and thus arsenic is passed on to the food product it's used in. The interesting thing about this new research, published ahead of print in Environmental Health Perspectives, is that the brown rice syrup used in these foods is organic. Of the foods looked at, researchers found that�infant formulas containing organic brown rice syrup as their primary ingredient had arsenic levels 20 to 30 times that of the other infant formulas. Cereal bars made with brown rice syrup contained�levels of arsenic that ranged from 23 to 128 parts per billion (ppb). Cereal bars free from rice had much lower arsenic levels, ranging from 8 to 27 ppb. To compare, as we've pointed out before,�10 ppb total arsenic is the limit permissible in public drinking water.